In a bowl, put the quail breast, whisky, honey, garlic and rosemary. Mix all well and let marinate in the refrigerator for 1 hour. Add 1 tablespoon of olive oil into a frying pan. Sprinkle the marinated quail breast with salt and pepper, and cook for 3 minutes in medium heat. Turn the breasts over and cover the pan for 5 additional minutes, until cooked. Remove the quail breasts from pan. Leave the pan in a medium high heat to slightly evaporate the juices, once reduced, add the orange juice until it breaks to a boil. In the meantime form a paste with butter and flour. Add it to the pan and beat until thick. 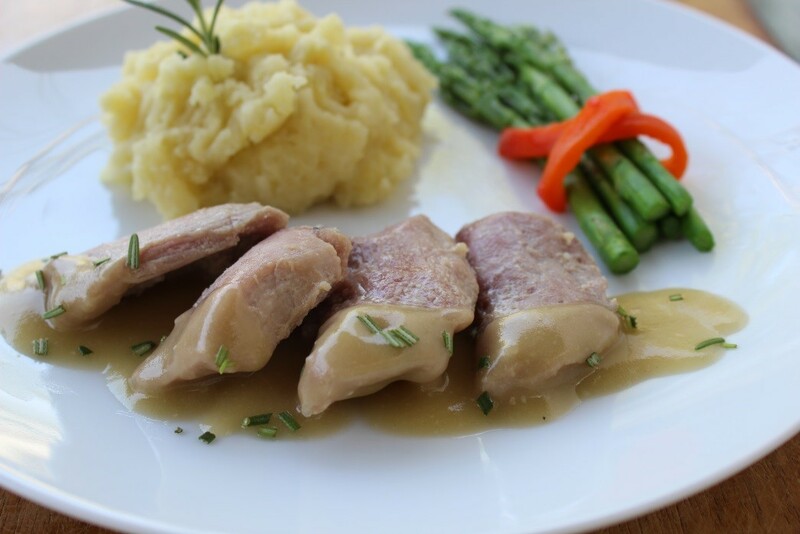 Serve the quail breast with the sauce.